Seventy percent of the world’s cocoa now comes from West Africa, where family-run farms have proliferated across the landscape in recent decades. 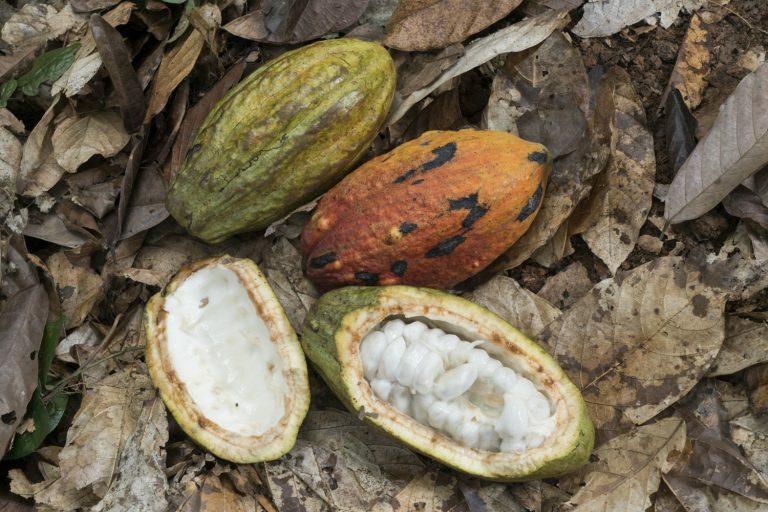 Yet in a paradox, the spread of these nonnative cocoa trees often contributes to deforestation. 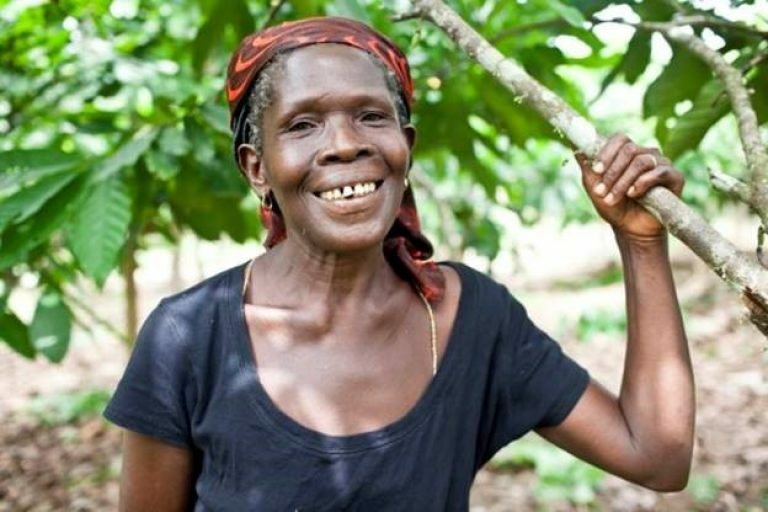 Rather than planting cacao trees under a forest canopy that shades them, which is the traditional method in Latin America, farmers in Ivory Coast, Cameroon and Ghana often clear forest so they can plant more trees and achieve higher yields. The practice has a down side for the both the cocoa trees and the environment. The natural shade allows the cocoa trees to absorb more nutrients and shelters them from the stresses of the full sun; the loss of natural forestland eliminates a carbon sink, contributing to concentrations of heat-trapping carbon dioxide in the atmosphere. Yet efforts are under way to both bolster cocoa production so that less land is needed for plantations and to reintroduce older farming practices that encourage healthier growth of the trees under forest shade. That was one of the goals of a recent World Cocoa Conference held in Abidjan, the Ivorian capital. The forum, the first of its kind, was organized by corporations in concert with nongovernmental organizations on the premise that improvements in farming practices can benefit both the farmers, who receive little economic return for the toil they put in, and global producers like Hershey’s and Nestlé. “West Africa is the core of the industry, and at the base of that pyramid are the farmers,” said Andrew Pederson, global sustainability manager for the candy bar manufacturer Mars Chocolate. 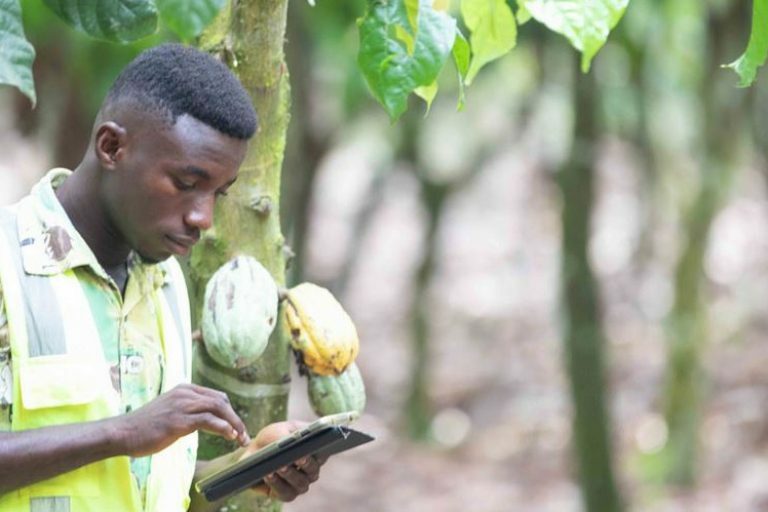 For over a decade, recognition has been growing that farmers, governments, nongovernmental organizations and the businesses that make up the cocoa supply chain need to unite to improve production instead of operating as separate entities. The resulting spate of partnerships between public and private investors are not framed as philanthropy, but as efforts that will benefit both groups. Aside from scant agricultural training, weak infrastructure and diseases like black pod that threaten the trees, the West African cocoa farmers are hobbled by the size of their plots. Most are small-scale and family-run, spread across just a few acres. The farms, often passed down from father to son, may be craggy forests with not many pods, Mr. Pederson said. “Seventy percent of the world’s supply comes from West Africa, and it’s also a part of the world that has some of the largest problems,” said Bill Guyton, president of the World Cocoa Foundation, which represents cocoa companies seeking to foster sustainability in the industry. This post originally appeared in the New York Times Green Blog – read the full post here.